“When you have your character do something that reflects your character’s personality, goals, or beliefs, the DM can reward you with inspiration.” You can spend inspiration to gain advantage, bank it for later, or pass it to another player. In the universe of role-playing games, inspiration seems conventional. Plenty of RPGs offer in-game rewards for role playing, but D&D has never goaded players to role play. Fourth edition even encouraged substituting skill checks for role playing so that no one who feels uncomfortable with funny voices must speak in character. While I have seen suggestions that a DM might want to reward good role playing with additional experience points, such options stand outside of D&D’s mainstream. I enjoy role playing and funny voices. I love when players work to tie their characters to the setting, especially when their ideas make the players collaborators in the world building. I favor mechanics such as the one introduced by the Champions role-playing game in 1981, where you could create a more powerful character by adding “disadvantages” like a recurring archenemy or a loved-one sometimes in need of rescue. I’m a dungeon master, not a critic or evaluator. As a DM, I have enough to do without adopting the role of some sort of competition judge who scores players’ performances. To players uncomfortable acting in character, I offer encouragement and a safe table, but I will not act as a trainer, handing out boons for role-playing stunts that amuse me. Save that for Shamu. When I play, I dislike metagamey resources. As I explained in “Immersive vs. Gamey in D&D Next, the score is 1-1,” when I play a character, I prefer to immerse myself in character. I want to make decisions in character, based on what my character knows about the game world. Inspiration forces an intrusive chunk of the metagame into the fantasy world. With inspiration, I can no longer fully immerse myself in the the character of Jarrek the Hammer, and make decisions by asking, “What would Jarrek do?” Now I must consider whether I should use my inspiration, bank it, or pass it on to another player. Jarrek knows nothing about banking inspiration! Ironically, a mechanic intended to reward role playing discourages character immersion. At Gen Con, I shared my misgivings with Mike Mearls. He understands my objections, but they don’t bother him. Even though D&D Next won’t brand inspiration as an optional rule, the rules will explain that different DMs may choose to award inspiration in different ways. Some DMs may choose not to award inspiration at all. In other words, inspiration provides a tool that you can use to encourage a chosen style of play, or that you can ignore. This fits D&D Next’s philosophy of creating a game that can support a range of play styles as opposed to the 4E philosophy of creating a game optimized for a single play style. I have one reservation about Mike’s stance, and that stems from organized play. Players in a program such as Living Forgotten Realms bring expectations about how the game is played. I do most of my dungeon mastering in LFR and other public-play programs. If inspiration exists in the core game, and if players grow to expect it, then I will feel duty-bound to use it in public play. My players will never hear me gripe. Inspiration hardly ranks as the most distasteful game element I’ve welcomed. If inspiration grows into an accepted part of public play, then I will award it by reading the table and granting inspiration for whatever performances inspire the players. 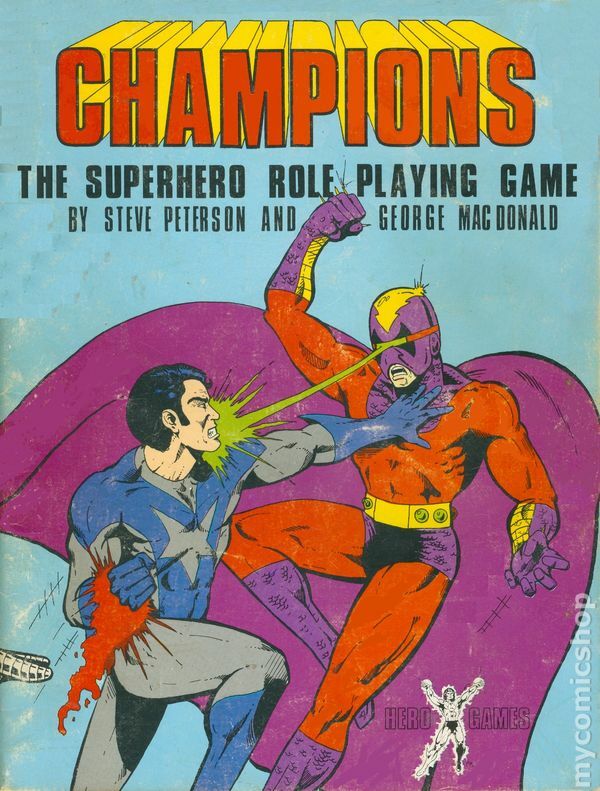 This entry was posted in D&D fourth edition, Role-playing game design and tagged Champions, immersion, Living Forgotten Realms, metagame, Mike Mearls, role playing. Bookmark the permalink. I know I’ve seen the XP giveaway house-ruled to reward the uncertain player for when they step out and act “in character,” or to recognize spectacular displays of role-playing. I don’t think we had a lot of rules lawyers, or perhaps the ones we had stayed focused on having the best possible game instead of nitpicking / wheedling some bonus XP. I get your argument about how inspiration can hurt immersion, but I view it like almost anything else on the character sheet. My character doesn’t know he has an AC of 16 and gets a +4 to attack with his crossbow. He just knows leather armor gives him some protection while letting him move on the battlefield so he can plant a bolt in the heart of a foe. Either way, like you said, there are many worse ideas and mechanics out there. Thanks! Encouragement from folks like you makes the effort worthwhile. My players and I have been using a similar mechanic in 4E and other games for years. It works great and actually encourages immersion, rather than stifles it (it easily exists as an “in game” concept. There’s no “playing judge” in my experience. I just give it out (awesome cards) whenever someone does something that makes the game better for everyone, something that makes people clap, or cheer or high five, or just improves the overall enjoyment for the group it a noticable way. If you’ve DM’d for any length of time, I”m sure you know the moments I’m talking about. The players love it. I love doing it and it honestly saved our 4E game from imploding due to rules/combat bloat. I have been pimping it on the D&D forums for years and I am thrilled that a similar mechanic is being playtested in 5E. We’re about to hit level 3 in the Ghosts of Dragonspear Castle adventure and I’ll be officially introducing it along with the latest playtest packet (9/19) at that time. Ah ha! So you get the credit for the inspiration mechanic. I agree that the awesome moments are easy to pick out during play, and that’s how I’ll run inspiration if it factors into public play. Mike Mearls seems interested in using inspiration as a way to entice players into involving their characters deeper in the game world. Not a bad goal. Ha, I’ve joked about taking credit. My gaming group likes to say I was doing it first (none of them had heard of it before) but I don’t really care where it came from, I just enjoy it. Like I said, it helped keep our 4E game alive even in the midst of 2 hour combats (and I heard some people saw much longer). We’re still using it in 5E but find it less necessary (not so grindy as 4E and granting advantage on a roll in 5E is so elegant as a reward for great ideas and inspiring RP, it kind of already happens). I agree that getting players invested in the world is good, although one has to be careful if that investment comes purely from their characters. You don’t want to get in a situation where character death is a game breaker. I’m torn on the whole inspiration die myself. I can see how it would break the flow of the game just handing it out. Then thinking about using it, or passing it. Even when another player bombs a roll you have to think, “should I give them inspiration?”. Like you I fully immerse my characters, typically I know how my character will act, or I can boil it down to 1-3 actions than I make a personal roll and follow the dice. I also consult the DM. Right now for instance, my character Sauvage is a noble (I even let the other characters call him by a feline nickname which is hilarious because he is a werewolf), though he only acts like it when necessary. So when my nobility might come into play, I ask the DM if I can make a knowledge or wisdom check to see if I would play the noble, or just act laid back. The reason I’m torn, we use the house rule of “story points”. There is one up for grabs a game(sometimes more), and they are handed out at the end of the night. It’s a vote, they go to the Player (not character) that to us was the most entertaining. That could include telling the worst jokes every, or sticking to their character to a fault even in hard times. It’s a reward to how made the night fun for us. These points can be used to “break” the universe, but only in a cinematic way. Think Neo stopping bullets, they are used to pull off something so crazy it just looks freaking cool. Like nuking the temple of unspeakable evil from orbit in a stolen (not)-beholder throne. Or letting a Dragon Lich’s trap remove my arm so Shiva could replace it with a magitek wand-gatling gun arm. I can see the inspiration being cumberson in game though, where as I think our story points are elegant. Oh and just because I love/hate my characters full name I’ll put some dialogue in. The name evolved through hard worded RP, and the DM giving me more titles to fit the political structure of the world. Sauvage: Sheriff Marshall of Kreuzzweier Island, The Lord Sauvage D’Lyoncourt, Roi D’Armes, D’Sérine dans le United Democratic Empire. Anyway I’m torn on inspiration because of our house rules, but I see your point as to how it might make it hard on DMs or put pressure on some players who aren’t good at the Role playing portion. Thanks for your insight. I agree that your story points work better than inspiration because they are counted at the end of the night, after everyone steps out of their characters’ persona. Plus, you vote, so the DM doesn’t have to do the rating alone. I’m planning on DM’ing my first game in the near future and I’m tossing back and forth the inspiration idea. I want to encourage my players to RP but I worry about it building resentment. Players who are not as good at roleplaying can feel left out when others around them are getting tokens thrown at them all the time. I think I’ll just forgo the tokens and condition my players that when they pull off an amazing RP stunt they get a cool result. It’s a storytelling game after all and I want my players to do whatever they can to engross themselves in the plot and create such moments. I don’t however, want them groping my pockets for inspiration tokens. Hi Corey, Good luck on your first time in the DM’s chair. Don’t tell anyone that it’s more fun there. I like to reward clever ideas and epic role playing by giving the characters a generously high chance of succeeding at the heroic but improbable stunts they dream up. Last Gen Con’s Crisis in Candlekeep event climaxes with a colossal dragon flying from tower to tower (and between tables of players playing at the same time). People kept telling me about how someone jumped on the dragon’s back and rode it as it attacked. This happened more than once during the con, and every time players found it thrilling and worth retelling. So when you condition your players to expect that “when they pull off an amazing RP stunt, they get a cool result,” you’re fostering great moments at the table. Thanks for the encouraging words. They keep me writing posts. Forgive me if this has already been said, but I think you may be looking at it the wrong way. Speaking from the point of view of a DM and player who plays with a very tactically minded person I think this is a great Idea. The intention isn’t to encourage people to roleplay who normally wouldn’t, but to allow people to act as their character would and not get penalized by it so much. As I said, I play with a very tactically minded person and he will very often act out of character, especially in combat situations, because to do otherwise could cost one or all of us our lives. With inspiration there is a chance that acting in a not-so-smart but oh-so-flavorful way could turn out ok, so he and others like him are more likely to stay true to the character (if they are into that kind of thing). This may be a weak argument, but I believe that was part of the though process of Inspiration. Good point. I’m inclined to agree. Now that I’ve seen the actual inspiration rule and played a session with it, my opinion has changed. I’ll write more in a future post. Thanks for commenting!